TK Maxx is a store I used to avoid, I don't know why but I just did. But then I decided to call in and I was pleasantly surprised. I had wanted to try Mennace clothing for a while so when I spotted these 2 items I just had to get them. 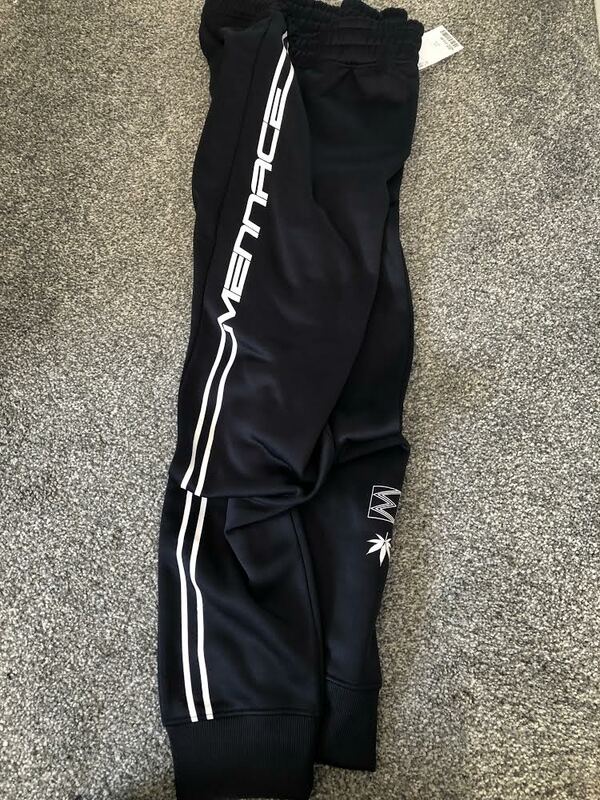 The joggers cost just £12.99 and they are perfect for me as I aren't very tall and these are the perfect length. I love the pattern on the side and the cuffs on the bottoms, they are also super comfy. 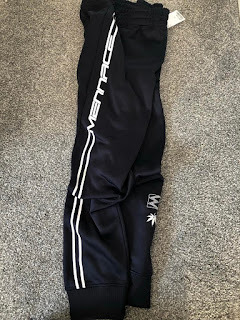 I picked these up in a large and they are a little snug at the moment but with me loosing weight they have been perfect as they are a gauge to how much is dropping off me and I can dress them up or down. I also picked up the Mennace jacket for £12.99 which I wore in Manchester lately and got plenty of compliments on. I am loving the stripes on the arm adding a pop of colour and the big ring on the zip. 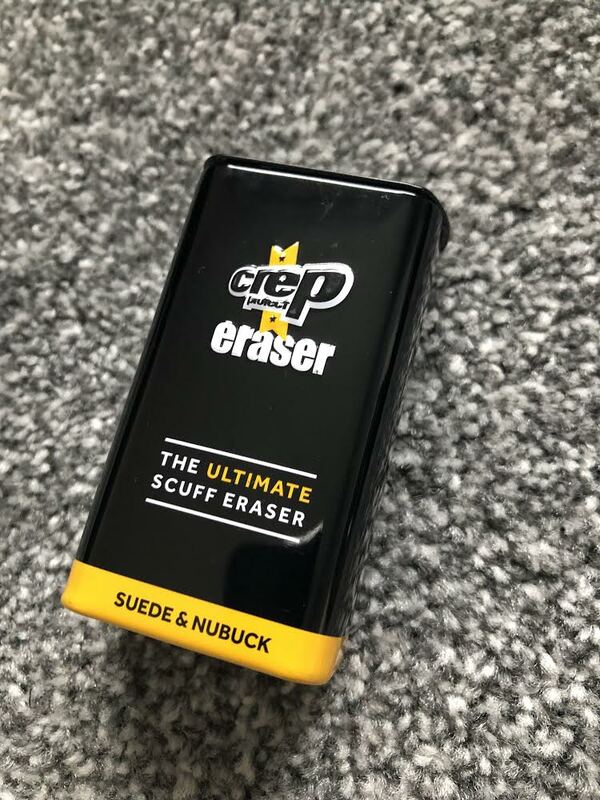 The material is also really breathable and it provided a perfect fit. I can't wait to wear this plenty more times. I keep checking in TK Maxx for new pieces coming in but also keep checking on the Mennace site to see what else I can pick up. In Manchester I called into Selfridges with my auntie to pick up a Christmas present I had been after for a while. Whilst I was in there I could have spent an absolute fortune, I saw a phone case, belt and bag that I wanted but when I went back in with Liam I was well behaved and just stuck to treating myself to a new pair of earrings. I only have silver studs or Pokemon earrings at the moment so I really wanted something a bit smarter and that would go with my rose gold watch. 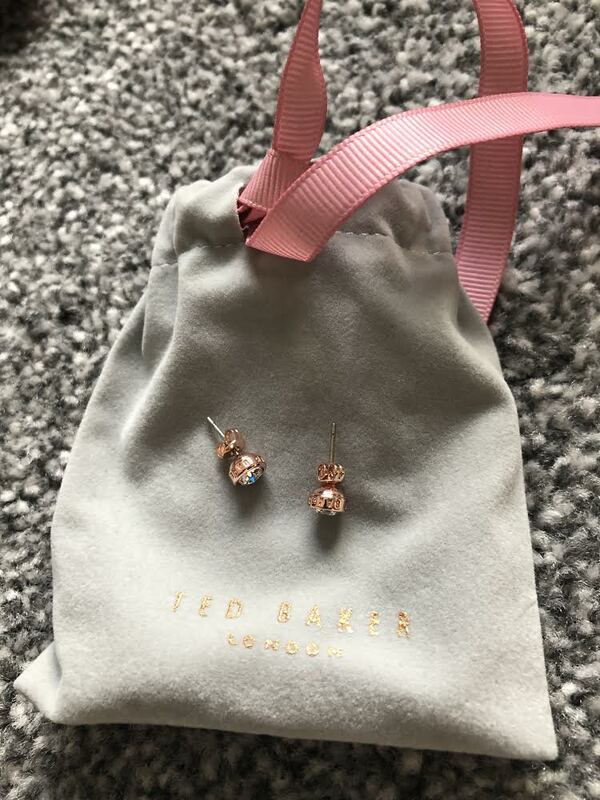 that is why I fell in love with these rose gold Ted Baker studs and just had to pick them up. I was shocked at the price too as they were only £25.00. I can't wait to get wearing these. Any one who knows me just how bad I am at buying trainers, I am a little obsessed. The only problem is I can't keep them clean and looking fresh, they get ruined far too easily. 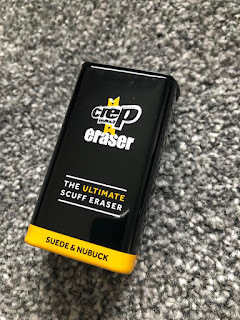 I bought the Crep Protect eraser in hopes that I can just clean the shoes up and get plenty more wears out of each pair. At £8.99 I guess we will have to see how it works out. I surprisingly managed to control myself in Manchester's Primark, I could have spent a fortune if they had my size in most of the items, and if I had the money to throw around. Their mens clothing right now is amazing and there are so many items I am wanting. Including a tiger shirt I can't find anywhere. 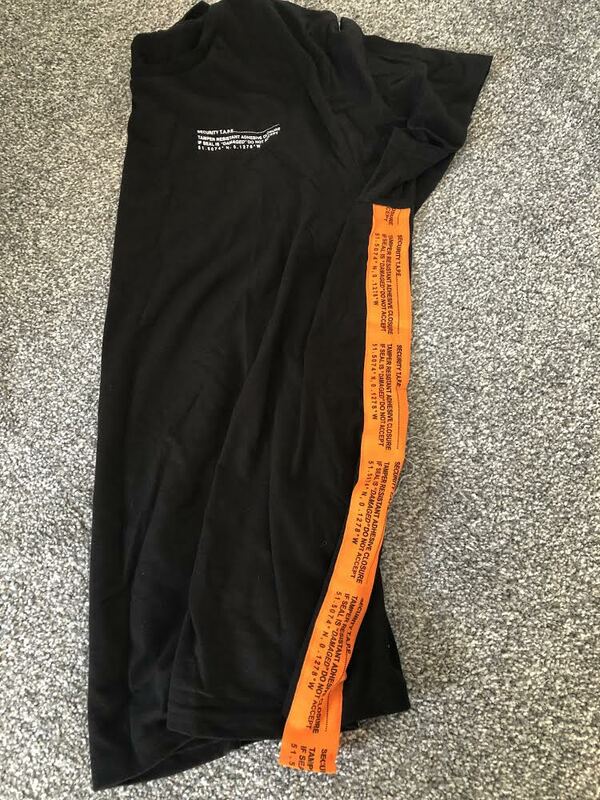 One item I fell in love with the second I saw it online was this security tape t-shirt. It is absolutely amazing and really gives me Off White vibes without me having to pay Off Whites prices. I actually ended up wearing this for the Britney gig and it was super comfy and a really nice fit. At just £8 I really am in love with it. One game I absolutely love is Overwatch so when I saw this t-shirt at £8 I had to pick it up especially as it has my favourite Tracer on it. It feels super soft and even if I just wear this when playing my games lounging around it is perfect. I went off printed t-shirts like this for a while but Primark have so many in lately, so be prepared to see more on here soon. 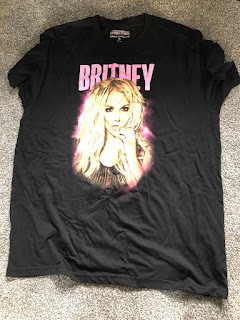 The Primark in Manchester is one of the ones stocking all the concert merchandise and music t-shirts so there was no way I was leaving without a couple. There were far too many but I decided to pick up ones of my favourites. 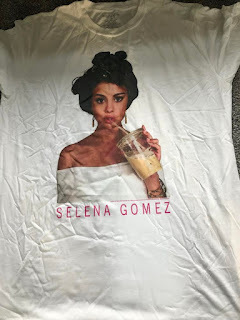 There were a few Britney ones too but I wasn't keen on them, so I opted for the Justin Bieber one and the Selena Gomez one. 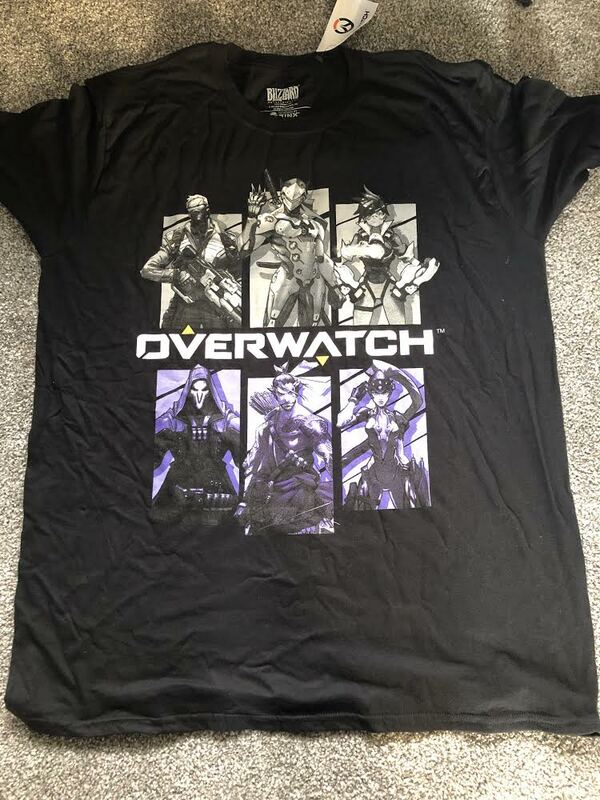 These were £9 each and to be honest I try avoid white t-shirts but these are pretty good quality. The Bieber one even has tour dates on the back, just adding a little more to its style. Finally whilst at the Britney gig of course I had to treat myself to a t-shirt with all the dates on. 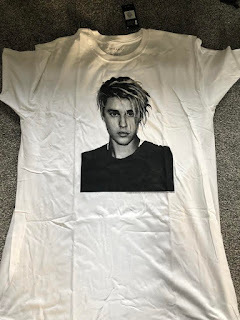 I don't usually wear these and they end up going into my little concert t-shirt drawer but I think I might get a couple of wears out of this. £30 wasn't too bad of a price for it either with me buying it in the venue. It is possibly one the best quality ones I have had from a concert in a long time too. 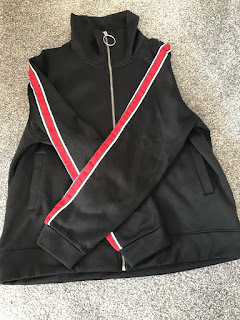 I will be doing some how I style posts on some of these items on this post so keep an eye out for those, as I am trying to get more confident in taking outfit shots for fashion posts.